There are many advertising agencies in Seattle and we’re thrilled that you’ve stumbled across our blog and are taking the time to get to know us a little bit. We’re a media buying agency that has been serving clients locally and nationally for the past 10 years. Much like you lean on the wisdom and experience of a good financial adviser to invest your money, working with Thrive puts your ad dollars in a powerful position. We plan advertising campaigns based on your budget, goals, and demographics. We negotiate with media giants for you, place your orders in the right channels, and hold the media companies accountable for the advertising they sell. Thrive is a leading Seattle advertising agency in healthcare, legal and financial services, real estate and hospitality marketing, but our media chops and marketing savvy are dependable avenues for any industry, big or small, near or far. We’re do media planning and buying at local, regional, and national levels. Since we specialize in this area of marketing you can rest assured that we will get your advertising message to the right people, at the right time, in the right place. 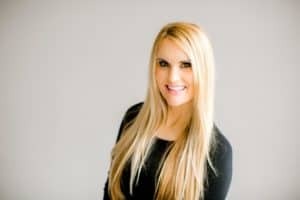 As the founder of Thrive Advertising, I bring (along with my team of marketing superstars) insider knowledge to the industry after years of traditional and digital advertising sales. Having the experience of selling advertising gives me a competitive advantage over media buyers who have never worked in ad sales. Having sold advertising makes, it easier to buy advertising, on your behalf! My experiences, along with my gifted team’s experiences, make Thrive uniquely positioned to grow your business through strategic advertising plans. We are not incentivized or otherwise paid by media companies to recommend one over another. Nor do we have “handshake deals” with any vendor. We’re incentivized solely by client success and repeat business. Our job is to work for YOU. All of our media plans are unique. You may need traditional media (radio, television, billboards, etc.). Or digital media (social, display ads, digital audio, remarketing, programmatic advertising etc.) may be better suited for your business marketing goals. Our greatest strength is the ability to create custom media plans that fits your individual business; that’ll deliver greater ROI for every dollar you invest. But what do our clients love most? Our customer service. We’d love to hear from you! Contact us here to schedule a time to connect to discuss your business goals and how we can help you Thrive!